BBC One‘s flagship medical dramas Holby City and Casualty will join forces for a two-part crossover special. This marks the first time the two shows have crossed over since 2005. 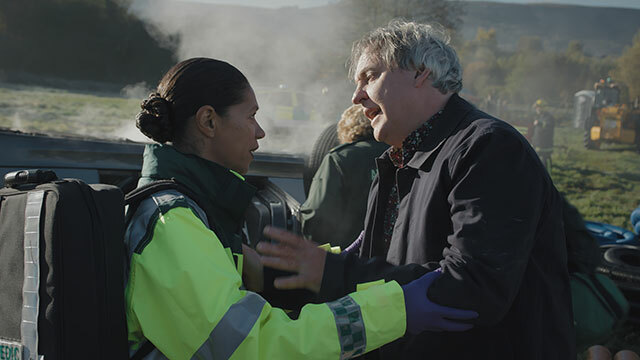 The special episodes will see the staff of the emergency department and the wards come together when Holby City Hospital is plunged into chaos. Fans can expect to see characters from both shows interacting as part of the two action-packed episodes. Fighting a different battle amongst the chaos, Connie (Amanda Mealing) is left to save the life of a member of her own team with surgery. As Sasha’s injuries become apparent Jac (Rosie Marcel) comes to his rescue and is ready to operate but with only one theatre available in the blackout, Connie and Jac have to make the impossible decision of which of their friends to try and save first. 2019 marks the 20th anniversary of Holby City and throughout the year there will be guest appearances from previous characters and fan favourites. Amanda Mealing will be the latest returner in the crossover, coming back to her old stomping ground in Holby as Connie Beauchamp.